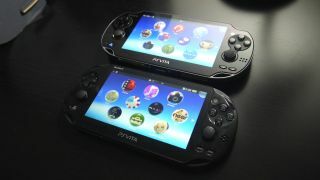 Sony may not be making great strides with its PlayStation Vita, but that doesn’t mean the company is giving up on the portable gaming market just yet. Speaking to Bloomberg, the newly appointed head of PlayStation, John Kodera, said that Sony is still experimenting with portable and mobile gaming and that it still has a place in the company’s future. Given the recent announcement that Sony will be ending production of physical Vita games and Sushei Yoshida’s assertion in 2015 that he couldn’t see there being a follow up to the Vita this might seem surprising. However, it seems that Kodera is more interested in uniting mobile gaming with consoles, rather than creating an entirely new separate handheld console based on what he’s saying here. When he was asked about the approach Nintendo had taken with the Switch, Kodera’s predecessor Andrew House said that PlayStation would be taking a different approach as he didn’t think there was a great deal of potential in the handheld market for Sony. Kodera was less upfront on his view of the Switch with Bloomberg, but he made reference to Sony’s recent experiments with PlayLink which allows players to use their smartphones to play a selection of games on their PS4. Sony’s mobile game efforts haven’t been going particularly well and its strategy in this area isn’t especially clear. But hitching a mobile element to the PlayStation console’s star could be a profitable and successful move for Sony. Mobile games have come a long way in the past few years and Fortnite’s recent success has shown how console games can be ported effectively to mobile with a beneficial cross-play element that encourages people to continue playing. Given Kodera has said PlayStation is considering many options, we wonder if there's a possibility his team is weighing up different benefits cross-platform games and games which allow players to use their phones as an input device offer. Sony has said that the PS4 is coming close to the end of its lifecycle and the PS5 is expected within the next three years. What kind of handheld elements it will incorporate remains to be seen but it seems that Sony has something up its sleeve. It just isn’t likely to be a standalone handheld console.